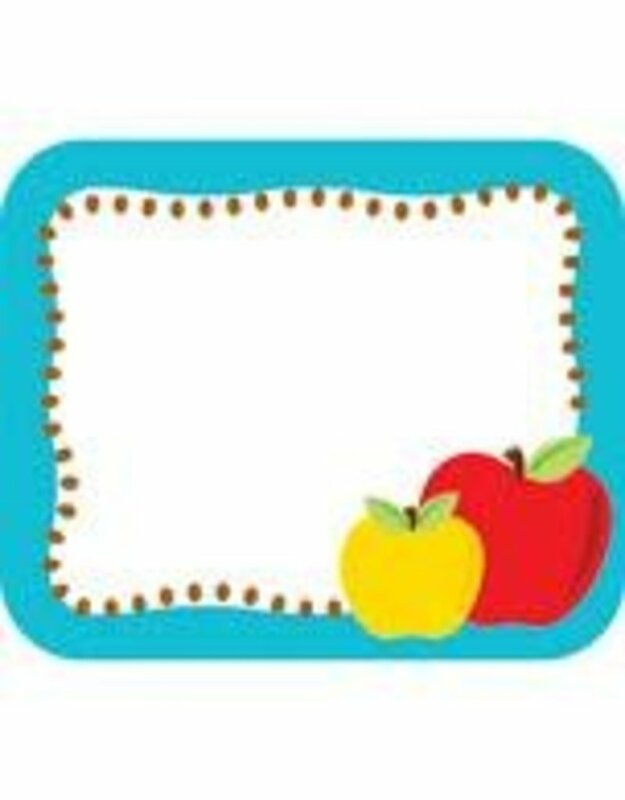 Ideal for parent-teacher conferences, back to school, field trips, and classroom labels, the Apples name tags provide a fun and festive way to remember names and organize. The pack contains 40 self-adhesive name tags—each features a blue border with apple accents and measures 3" x 2.5". --Label documents, storage boxes, and folders with colorful classroom organization tags. Available in a variety of themes and designs, name tags are an essential organizational tool for your classroom. To create a fun fall theme, make sure to view Carson-Dellosa’s coordinating products.